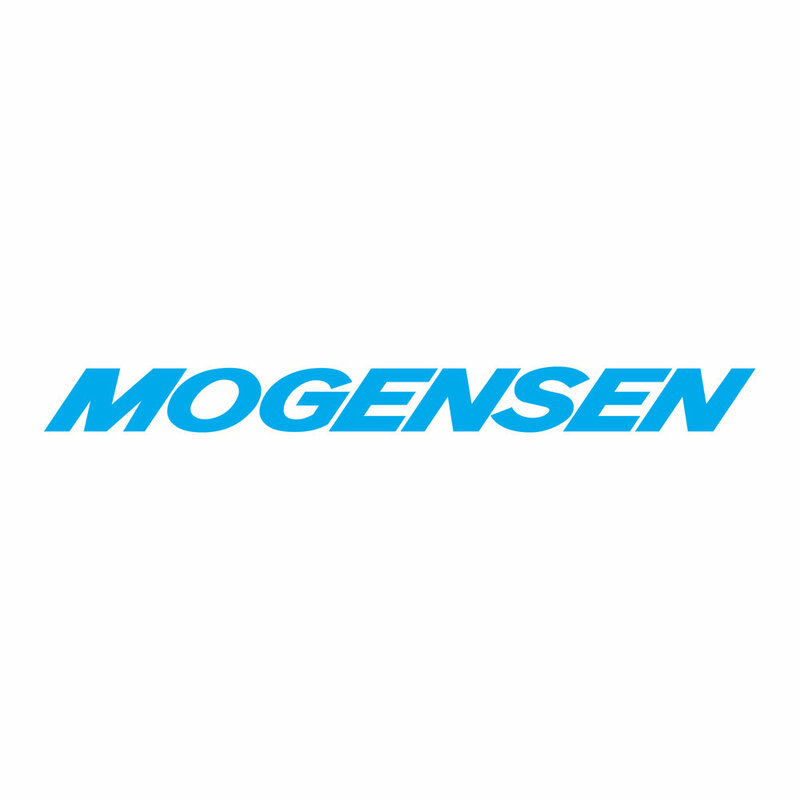 Allgaier Process Technology’s sister company, Mogensen, has been the leading innovator in developing screening and sizing technology for over 50 years. 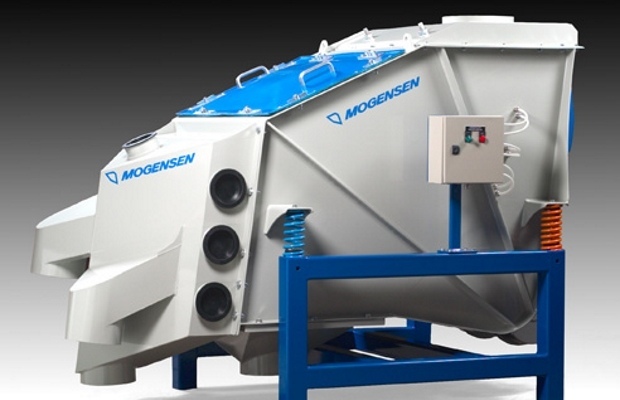 Mogensen’s sizing technology quickly and efficiently sorts bulk material based on size. Differently sized particles have different probabilities of passing through a screen even when it is smaller than the openings of the screen. Sloping the screens gives a better effect and increases the capacity of a specific area. A sizer system is made up of several layers of screening decks with calculated gauges and inclinations. The mesh openings are larger in the upper decks and smaller in the lower decks. Material is sorted to specific destinations as it travels across and through the screens. Each deck is made from maintenance-friendly screen linings and are easily accessible when changeouts are required. The separation of different particle sizes from the material flow and the larger mesh width not only prevent the deposition of material layers and clogging of material on the screen linings, but also ensure, in addition to the high throughput, an extremely long service life of the screen linings. 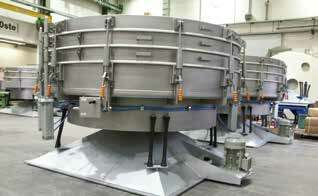 Allgaier also provides solutions for fine sizing, circular and vibratory screens, and bar sizers. Frederik Mogensen's ideas are now developed and adapted for today's technological innovations. A new patented pattern of machine motion based on the original concept has helped refine the technology used in our emerging advancements. To view more information about various sizer models and technologies, click here. Allgaier’s tumbler screening systems meet the most exacting requirements for fine and ultrafine screening applications. Our machines come with several cleaning device options including ball, air, brush, and ultrasound solutions. We can also combine these options to keep the screen meshes clear and optimize your screening process. 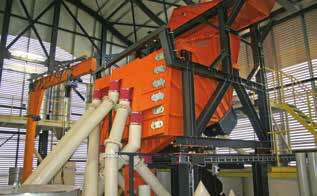 Allgaier vibration screening machines perform classification, protective and control screening, dust removal and water removal from almost all bulk goods in the fine, medium and coarse ranges. Material can be fractioned down to 0.032 mm with high separation precision up to 99%. Machine sizes range from 600 mm to 2,900 mm with throughputs up to 40 tph. 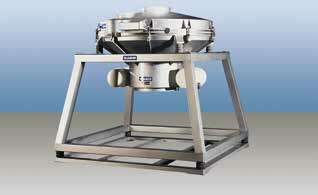 We also offer machine configurations from one to five decks resulting in up to six fractions. The Allgaier tumbler screeners are also non-harmful solution for food or pharmaceutical applications. Allgaier vibration screening machines are easy to clean and feature screens that can be quickly replaced. They can also be installed with stationary or mobile base frames as necessary. 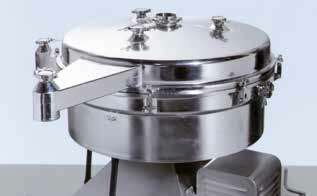 Moreover, we offer designs that meet the strictest hygiene standards for the pharmaceutical and food industries, as well as ATEX-compliant versions for use in hazardous locations.